I had so much fun doing the Christmas Mantel Scarf, and I wanted to use the pattern in a different way. 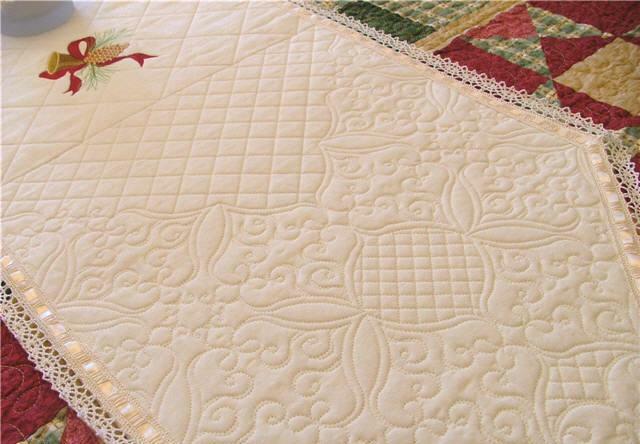 The design is called Heirloom Lace. I turned the shapes sideways, and added some cross-hatching in the center section to highlight embroidery. I used embroidery patterns from Carolyn Faulk at Embroidery Designs by Carolyn --- they stitched out beautifully. You could make one of these for each season, or for everyday use. 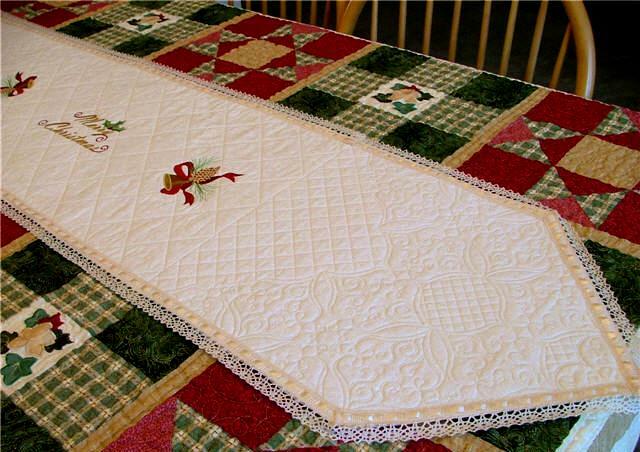 After all of the embroidery was complete, I made a facing for the table runner to hide the embroidery on the back. Then I added a cluney lace to the edges. You can click on each picture twice to see the largest version. Now available! 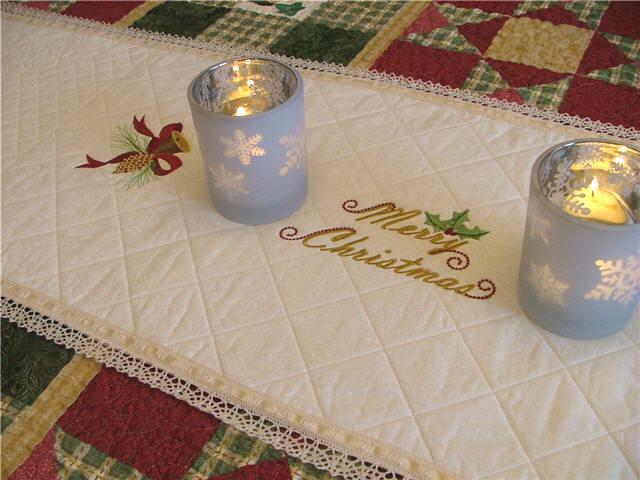 These table runners are available in kit form, so you will be able to add your own embroidery and edging trims! Click here to order! 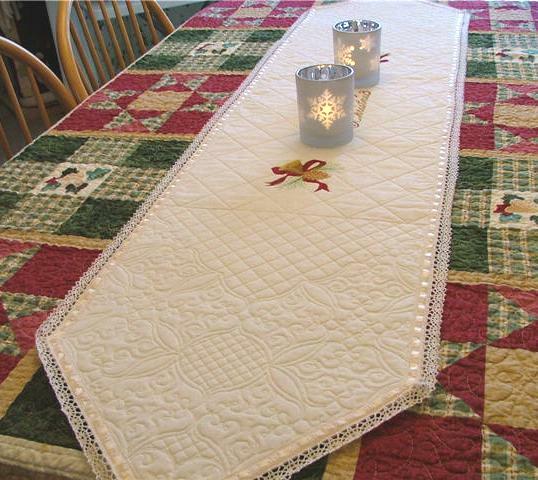 Lou Ann from Maryland had this to say about her Table Runner Kit: "It is every bit as beautiful as I had expected. My weekend project will be to finish it and put it on my table. Thank you so much for your beautiful work! Now, do I want to add a monogram to the small area like you suggested ………. add something to the middle ………. to the ends of the middle so I can use my candelabra. I have a lot of thinking to do as I loved your suggestions – all of them!!!"